Memorial jewelry is a great gift when you want something for yourself or for a dear friend or family member who is grieving. I started making these after I needed somethin to hold close. 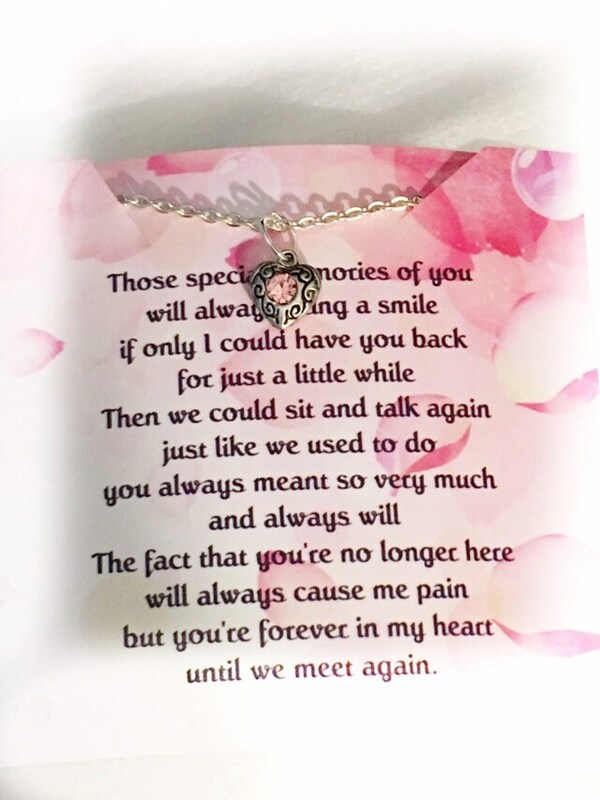 I wanted something to wear that reminded me they are always with me. 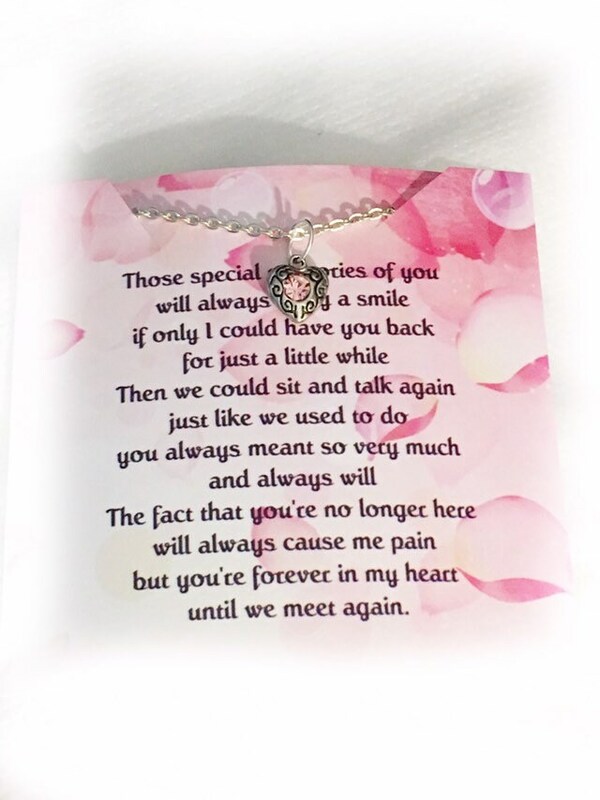 This is the perfect gift. Its not too big and its not too small. The necklace is 18 inches. 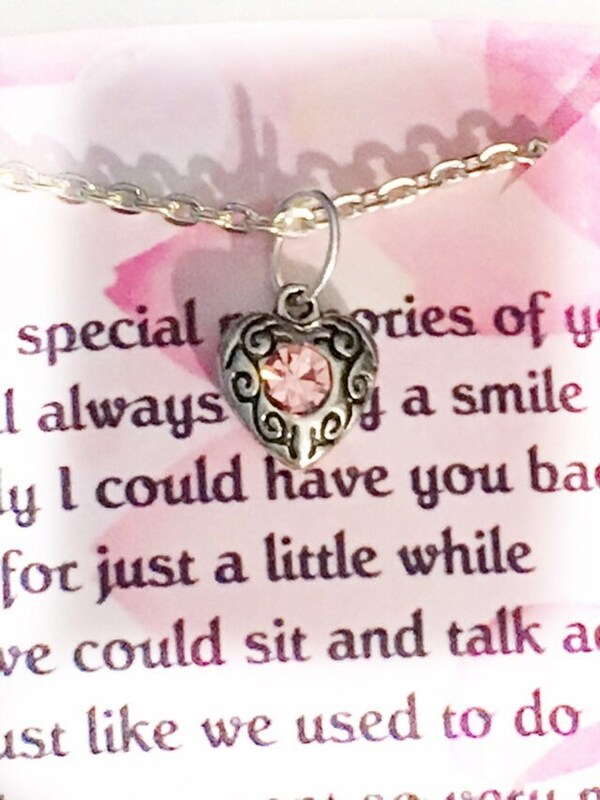 If you like one charm on this necklace but dislike another, just ask for it the way you want it. 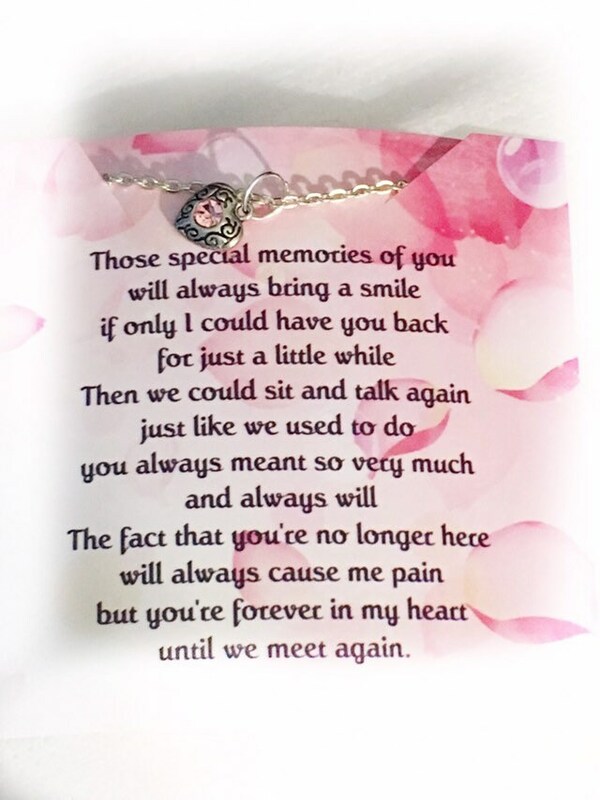 I love these memorial necklaces and wear different ones all the time. It reminds me that I'm never alone. And although flowers are beautiful, these won't fade away. 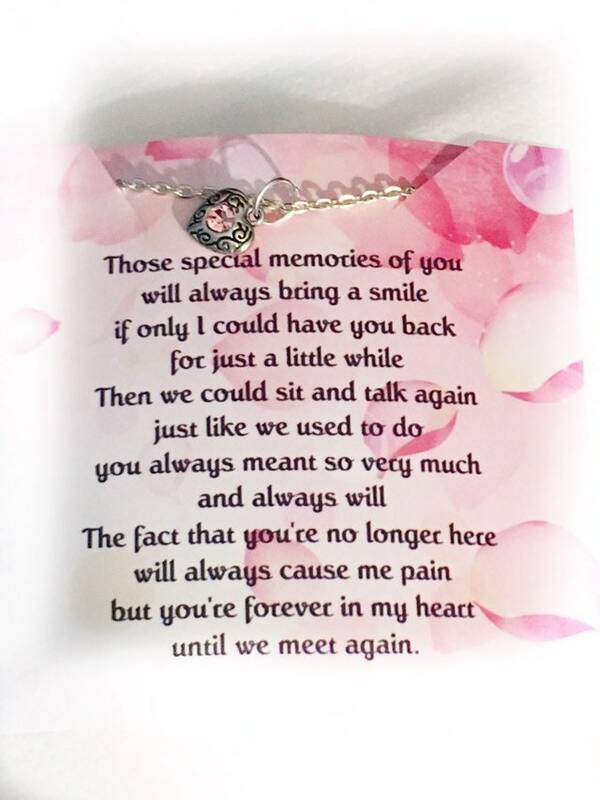 They will alway have a memory and a gift from you!